Revelers, get ready to revel. It’s almost time for Mardi Gras. 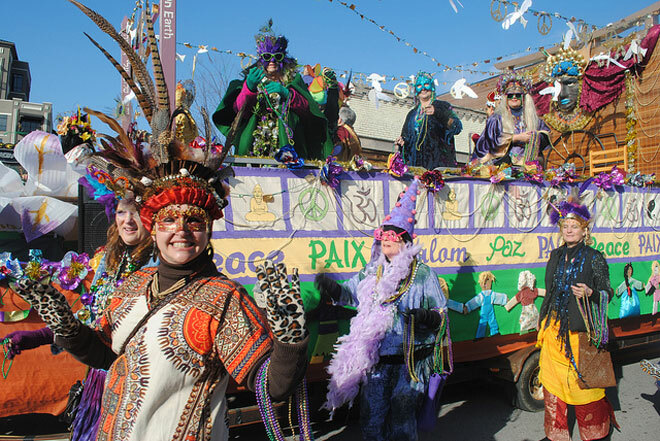 Fayetteville Mardi Gras will celebrate its 28th year of festivities beginning at 2 p.m. Saturday March 2 with the annual Fat Saturday Parade of Fools. The parade will wind its way from the Fayetteville Square, and then down Block Avenue and Dickson Street with costumes, floats, and beads. This year’s parade Grand Marshal hasn’t been announced just yet, but it’s early. Those looking to participate in the parade can enter a float, vehicle, or walking group by signing up at fayettevillemardigras.com. You can also create your own Krewe! The organization is also seeking sponsors for this year’s event. For more information, visit fayettevillemardigras.com.